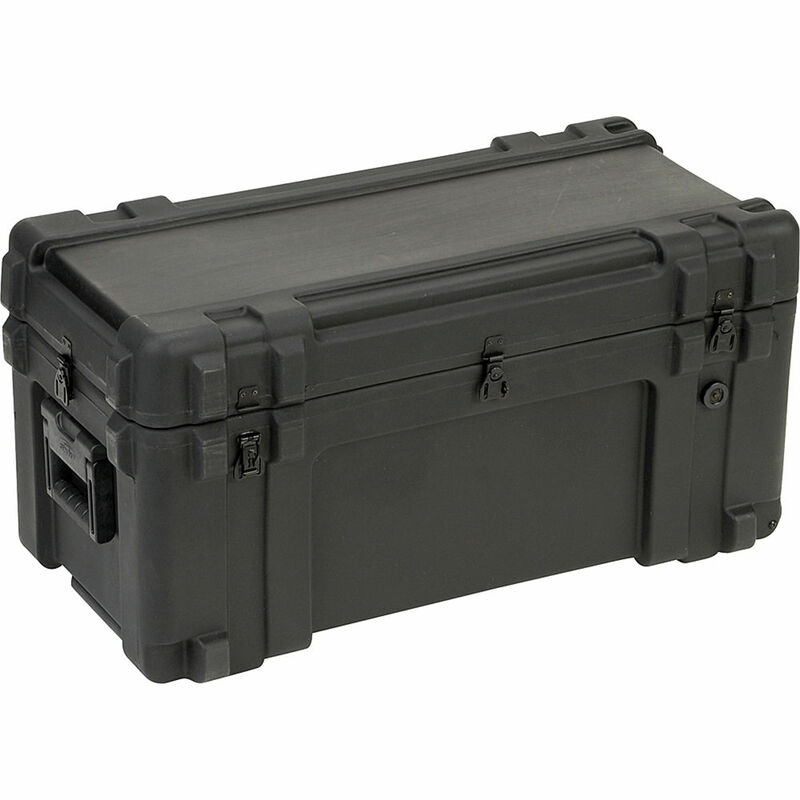 The SKB 3R3214-15B-EW Mil-Standard Utility Case is designed to meet the most demanding military specifications. The case is roto-molded for strength and durability with an LLPDE shell for maximum impact resistance. It is water proof with solid stainless steel latches and hinges that will withstand the most demanding shipping conditions and they are padlock lockable. This case has a retractable pull handle and built in wheels. Box Dimensions (LxWxH) 36.0 x 18.0 x 18.0"